Sound penetrates an animal’s body when immersed in water. This effect, which can cause tissue rupture and hemorrhage, has not been adequately addressed in the Navy’s FEIS. 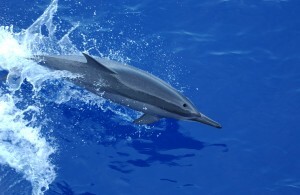 The U.S. Navy provides approximately 50% of the funds for marine mammal research worldwide. These reviews cite references showing noise has no effect on marine mammals at an increasing frequency. Primary papers are 2.3 times more likely to be cited in the reviews as concluding no effect of noise if the research was militarily-funded than if not. Thus, conflict of interest may have led to a misrepresentation of the effects of noise on marine mammals and thus misinform public policy decisions.